By John I. Moore, Jr.
Graphs and data plots are wonderful tools for illustrating relationships, depicting data trends, and tracking goals in your Android applications. I saw this for myself several years ago, when a former student of mine won first place in a student mobile app competition sponsored by the Charleston Defense Contractors Association. 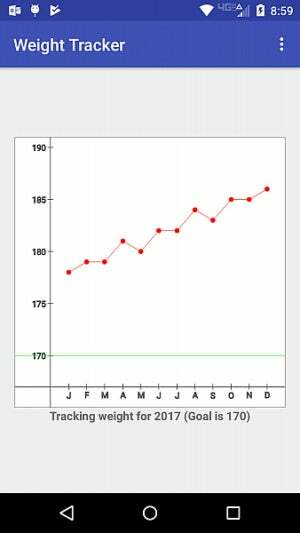 A key feature of the winning app, "Diabetes and Me," was the ability to graph daily sugar levels. In this article I'll use my open source library, GraphLib, to demonstrate the basics of graphing mathematical functions in Android. It's not the same graph library that my student used for his application. In fact, it's much simpler and easier to use. Get the source code for the open source Android graphing library introduced in this article. Created by John I. Moore. GraphLib consists of one interface and eight classes. Three of those classes are internal to the library and have only package access, so you will not need to understand them in order to use GraphLib. Two of the remaining classes have very simple functionality, and the remainder are not hard to pick up. Below I will describe the GraphLib interface and each of its eight classes. Note that I used Java 8 features such as functional interfaces and lambda expressions to develop and test the library, but it's relatively straightforward to modify these features for earlier versions of Java. As shown in Listing 1, interface Function has only one abstract method and is, therefore, a functional interface. Note that this interface is roughly equivalent to Java 8's DoubleUnaryOperator, found in package java.util.function. The difference is that Function does not use any Java 8 features other than the annotation @FunctionalInterface. Removing this annotation is the only change necessary to make the Function interface compatible with earlier versions of Java. Lambda expressions, also known as closures, function literals, or simply lambdas, describe a set of features defined in Java Specification Request (JSR) 335. Less formal introductions to lambda expressions are provided in a section of the latest version of the Java Tutorial; in the JavaWorld article "Java programming with lambda expressions," and in a couple of articles by Brian Goetz, "State of the lambda" and "State of the lambda: Libraries edition." Classes Point and Label are relatively simple: Point encapsulates a pair of double values representing a point in the x,y-plane, and Label encapsulates a double value and a string, where the double value represents a point on an axis and the string is used to label that point. The example in Figure 1 uses points to describe the line graph and labels for the axis at the bottom, showing one-letter abbreviations for the months. I'll provide more examples illustrating the use of these classes later in the article. GraphFunction encapsulates a function (i.e., a class that implements interface Function) and a color used to draw that function. GraphPoints encapsulates a list of points together with a color used to plot them. 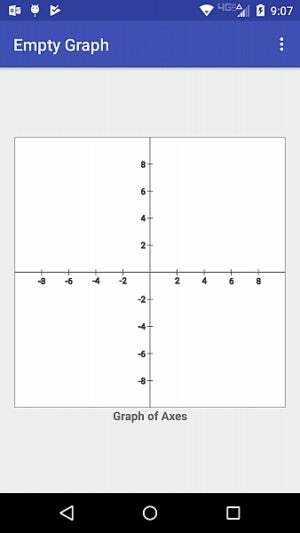 This class is used internally for both plotting points and drawing line graphs. ScreenPoint encapsulates a pair of integer values representing pixel coordinates on the screen of an Android device. This class is similar to but simpler than the Android class Point in package android.graphics. I've provided the source code for these classes in case you are interested in the details. The three remaining classes in the GraphLib library are Graph, Graph.Builder, and GraphView. It's important to understand the role that each of them plays in an Android application. Class Graph contains information about the colors, points, labels, graphs, etc., to be drawn, but is essentially independent of Android graphics details. While Graph has a lot of fields, they all have default values, and therefore it makes sense to use the Builder pattern to create instances of this class. Class Graph contains a nested static subclass named Builder, which is used to create Graph objects. The two classes Graph and Graph.Builder go together, from a developer's perspective, and should be understood, essentially, as one. In truth, you only need to understand how to use the nested class Builder to create a Graph object. Developers don't really do anything directly with a Graph object after it has been created other than pass it to a GraphView object, which does the work of displaying everything on an Android device. Listing 2 summarizes the methods available in class Graph.Builder. Later examples will illustrate how to use the Builder pattern to create Graph objects. For now, it's enough to note that, other than the default constructor (first line in Listing 2) and the build() method (last line in Listing 2), all other methods return the Builder object. This makes it possible to chain calls to builder methods. You'll note in Listing 2 that many of the methods are overloaded to accept either arrays of objects or lists of objects. I give preference to arrays over lists for examples in this article, simply because it is much easier to initialize arrays, but GraphLib supports both. However, Java 9 will contain convenience factory methods for collections, thereby removing this small advantage for arrays. Were Java 9 in widespread use at the time of this article, I would have preferred lists over arrays in both GraphLib and the later examples. To learn more about the Builder pattern, see the second edition of Effective Java by Joshua Bloch or the JavaWorld article "Too many parameters in Java methods, Part 3: Builder pattern" by Dustin Marx. User interface classes in Android are called views, and class View in package android.view is the basic building block for user interface components. A view occupies a rectangular area on the screen, and is responsible for drawing and event handling. From an inheritance perspective, class View is an ancestor class not only of user interface controls (buttons, text fields, etc.) but also of layouts, which are invisible view groups that are primarily responsible for arranging their child components. Class GraphView extends class View and is responsible for displaying the information encapsulated in a Graph on the screen of an Android device. Thus, class GraphView is where all the drawing takes place. There are two approaches to creating user interfaces for Android: a procedural approach (within the Java source code) or a declarative approach (in an XML file). Either one is valid, but the consensus is to use the declarative approach as much as possible. I've used a declarative approach for my examples. There are five basic steps to using the GraphLib library. Before you start, download the compiled Java source code for the GraphLib library. Get the compiled Java source code for GraphLib. Created by John I. Moore. Create a new project using Android Studio and copy the JAR file graphlib.jar to the libs subdirectory of your project's app directory. In Android Studio, switch the folder structure from Android to Project. Next, in the libs folder (nested within the app folder), right-click on the JAR file and click on Add as library. This last action will add the JAR file in the dependencies section of your app's build.gradle file. See "How to add a jar in external libraries in Android Studio" if you need help with this step. In Android applications, an activity represents a single screen with a user interface. Activities are defined primarily in two files: an XML file that declares the UI layout and components, and a Java file that defines runtime functionality such as event handling. When a new project is created, Android Studio usually creates a default activity named MainActivity. Use this activity or create a new one for your application. Listing 4 shows the list of import statements for an application if the library classes are imported individually. The list of imports can be abbreviated to a single line as import com.softmoore.android.graphlib. * if desired. Personally, I prefer to see the expanded list as shown in Listing 4. Listing 5 shows the creation of a simple graph object--in this case a graph object that uses all of the default values. It essentially contains only a set of x- and y-axes, where the values on both axes range from 0 to 10. The listing also sets a title for the screen and text for the text view below the graph. Figure 2 shows the result of running this application on an Android device.